I love their brushes because they are wide and thin and they work really well. 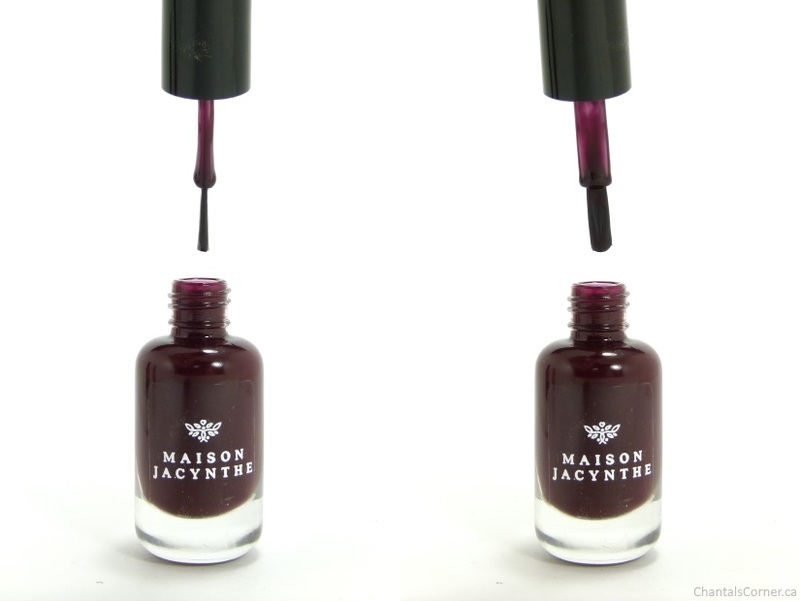 All three colours had the same formula and were a dream to work with! 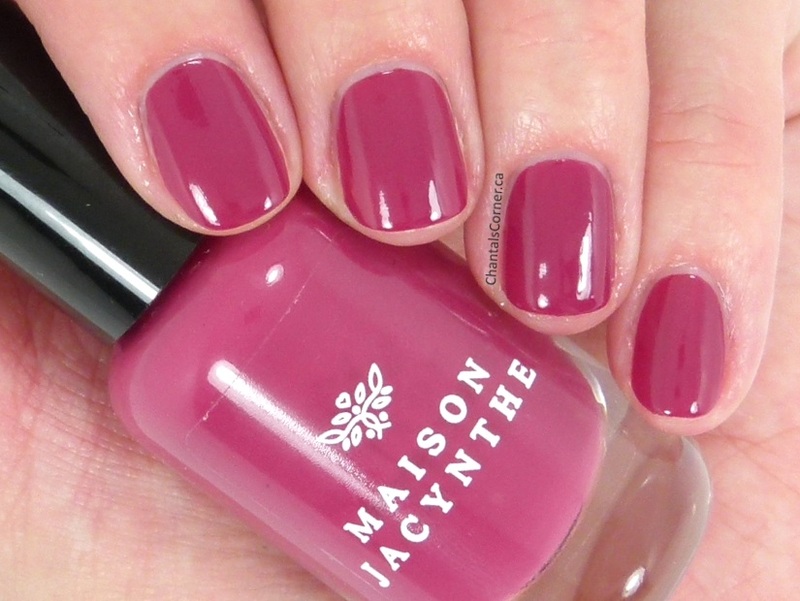 They were all fully opaque with two coats, but you could get away with just one coat if you went a bit thicker. They’re all self-leveling and create no streaks or patches. And they all have a beautiful shiny finish; I’m wearing no topcoat in any of the pictures below. 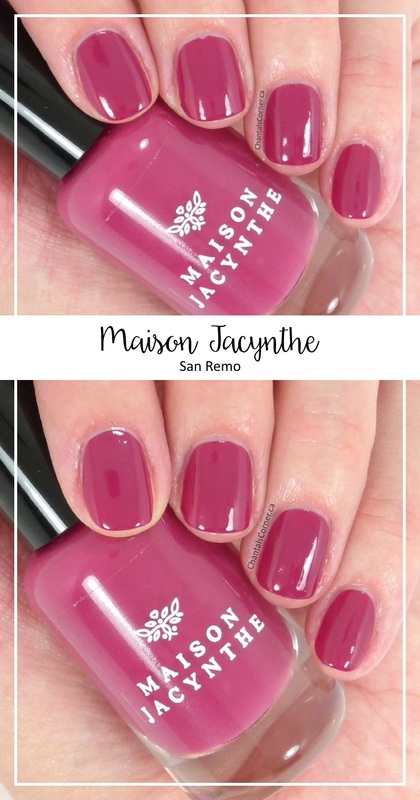 Let’s start with San Remo, a beautiful dark rose that was darker than I expected, and I prefer this over what I thought this colour would be (on the site this seemed to be more of a dark hot pink). Next up we have Venezia, a gorgeous wine red. 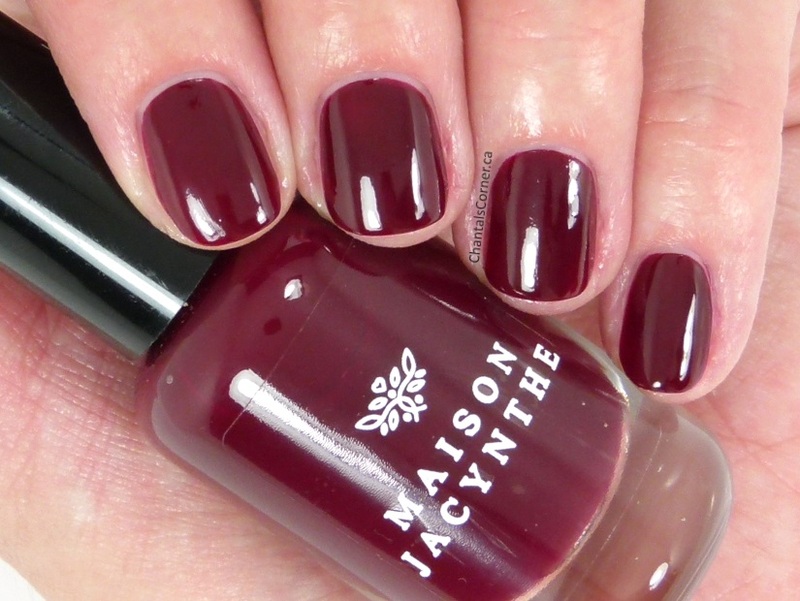 Those who know me know that my heart lies with dark vampy colours, and this one is hitting the spot. 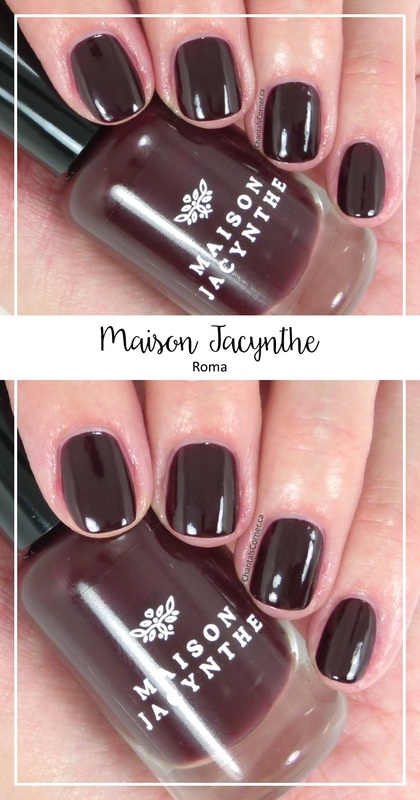 And last but not least we have Roma, a gorgeous dark mahogany that stole my hear the second I saw it on Maison Jacynthe‘s site. Be still my heart. 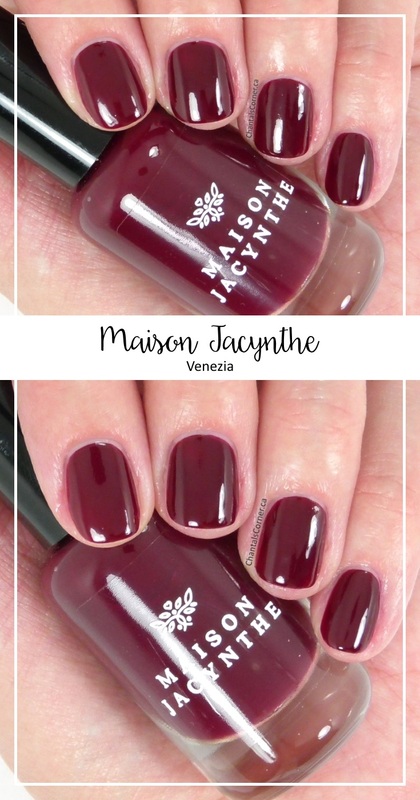 The first colour I tried was San Remo, then it was Venezia, and I finished with Roma, and with each colour I just fell more and more in love with these nail polishes. 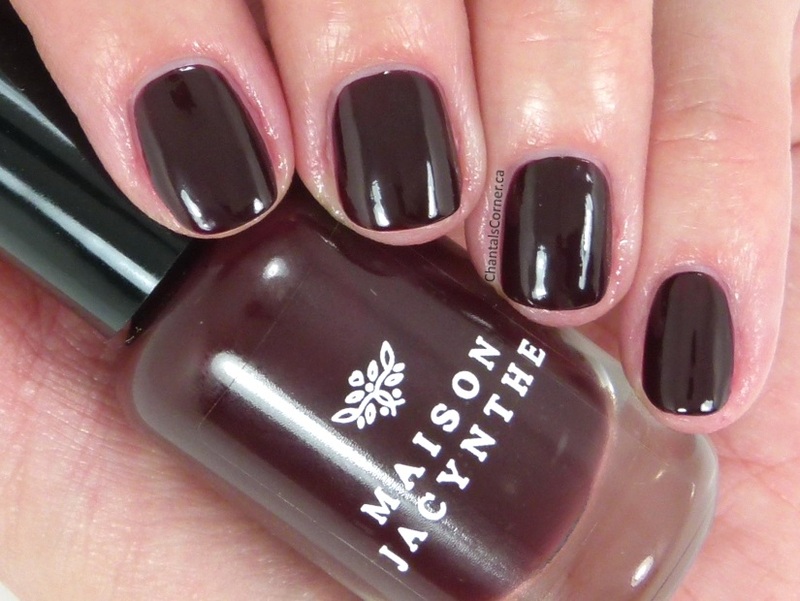 Maison Jacynthe did not disappoint, I want them ALL! You can purchase these at Maison Jacynthe for $14 CAD each.